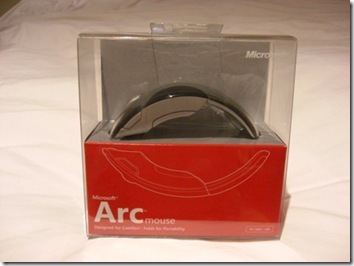 Microsoft Arc Mouse – Most Exquisite Design Ever! While in Israel for the Rosh Pina Festival I attended a dinner with local Microsoftees and some agency folk. 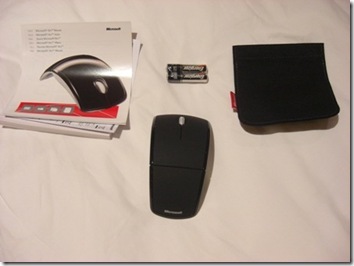 The only item in the good-bye goody bag was the Microsoft Arc Mouse! Very often a corporate give-away might consist of a few bits and pieces but as you can see this little gem needed no help padding out the bag, much to the delight of the merry delegates as they made their way back to their hotel rooms. The Microsoft Arc comes with batteries and a little pouch. 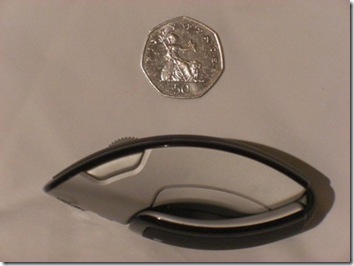 The USB stick is about the size of a 20p piece and doesn’t get in the way when plugged in. 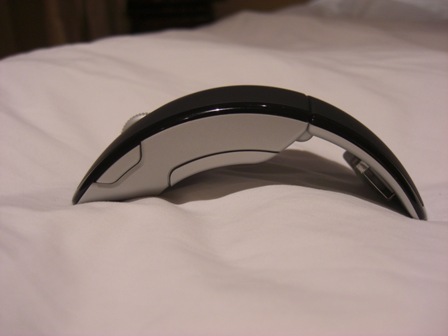 The Arc Mouse folds up unobtrusively into a tiny ball. The USB stick is attached inside by a powerful magnet so it doesn’t get lost! It just looks so cool! 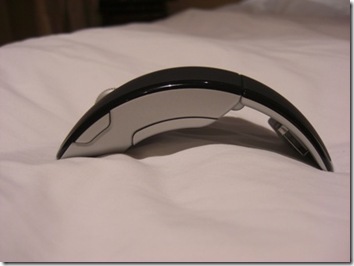 Also it’s very ergonomic to the touch and is extremely responsive to the slightest movement. 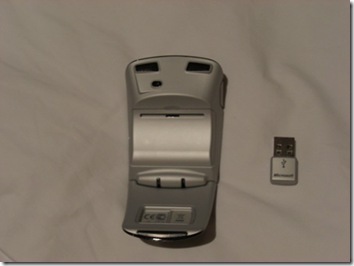 The clicking action is silent but accurate and the scroller is very well conditioned. I’m writing this in Tel Aviv Airport lounge and resting it on the side of a chair and it’s working like a dream! 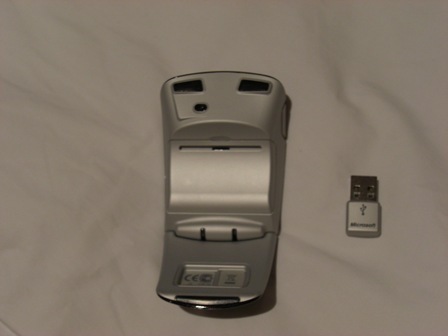 This one’s set to have gadget-geeks hearts all of a flutter this Christmas! They’re selling them on Amazon for about £32 so pick one up and I promise you, you’ll never put it down! .. if they have’t already!